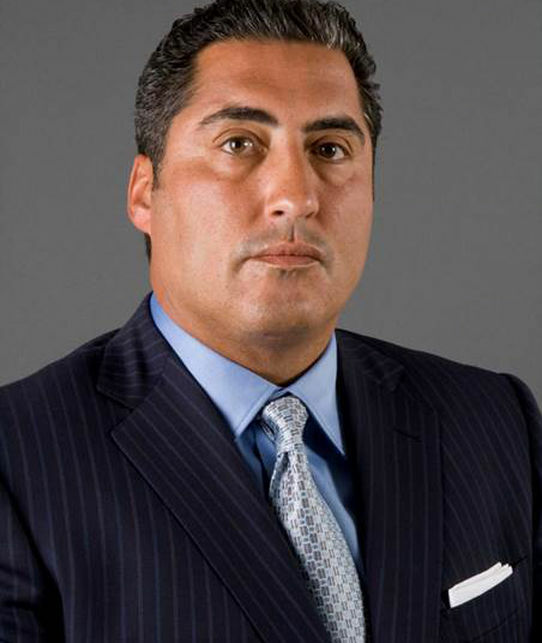 A 40-year construction veteran, Edward S. Campanella-Rodriguez is the CEO, President and Founder of MBI Group, a full-service construction firm specializing in core and shell construction, commercial and retail interior fit-outs, medical facilities and educational developments. Mr. Campenella’s vision and hands-on direction has enabled MBI Group to grow from a small interiors company to a midsize general contracting and construction management firm that serves many of the leading corporations in New York. Can you tell us about your journey to becoming CEO? I started working in a mailroom for Morse Diesel, a core and shell company, largest on east coast back on 1980. I started as a messenger, delivering payroll checks and drawings to jobsites. At only 19 years old, I worked my way out of the mailroom and learned about estimating. I developed a real liking for the construction business, and decided to go to school for construction technology, now called construction management. I went to school at night to learn how to read blueprints and estimate. I went from a mailroom clerk to a client clerk, all while working offsite as a timekeeper. I eventually moved up to assistant super and actually finished off the building when I was 21 years old. From there, Bob Omira at Morse Diesel decided to go into the interior business and took me with him as his right-hand guy. Basically, I was his assistant. I worked with Bob for a few years and learned the interior business pretty quickly. Ryder Construction’s Frank Marcimello was another mentor of mine who did core and shell and interiors. While working at Ryder, only 24 years old, I met a salesman named Mark Pilloci who decided to start his own interior business with me as a partner. I stayed there for three years and built a nice interior business. I wasn’t crazy about how he did business so I decided to go into business for myself, and that’s when I founded MBI. In business, it’s working as a team every day. Success is taking an assignment and doing it to my best ability, completing it 100%, exceeding my client’s expectations, having a great relationship with all of the people at my firm, and being able to work on a daily basis with the staff at MBI. Most of us have been together for almost 31 years. Personally, it’s close relationships with God and my family, joy and success. Having my children reach the goals that they strive for makes me a successful parent. I once got a $140 million project over a cup of coffee. A client I’ve done a lot of work for over the years is a developer named Kent Swig. One day Kent invited me for a cup coffee in his office at 7am. Almost immediately he asked if I wanted to build an over one million square feet apartment building with him, which I had absolutely no previous experience doing. I had never worked on a residential building of that size. However, he knew if he gave me an assignment, I would do it to the letter. The project turned out to be one the best projects I’ve ever worked on and I’m forever thankful to him. I’ve had no failures in 31 years. I don’t believe in failure. Failure is not an option for me personally or business-wise. Our people and our commitment to excellence. MBI Group’s success is built on our ability to integrate the talents of every project team member. That, coupled with my personal involvement in pretty much every project that comes through the door, results in seamless and confident teamwork unmatched throughout the construction industry. Our people represent a new generation of construction professional, implementing innovative, cost-effective solutions to assist with challenge, applying the latest technological advances and creative strategies. The Turro College Dormitory for Women on West End in NYC. It’s a new client for MBI from a past relationship with Yeshiva University, whom we once built a brand-new building for. Jeffrey Rosengarten gave us the opportunity to bid on the Turro College Dormitory for Women project. It would be a very fast-tracked project and he knew we’d do it to the letter. It is an $11 million assignment and needs to be completed in 20 weeks. Can you tell us about the initiatives that your company is doing to be more sustainable? Can you give an example for each? We take all of our materials and go the extra mile to separate what can be recycled. We are very environmentally conscious and also encourage our employees to take public transportation. We do many lead projects that have helped us learn to be forward-thinking and more sustainable. Really push and mentor the younger staff at your company. Encourage them to take courses and to learn from you and other senior executives. If you are seen as a mentor figure or even a friend instead of a CEO or boss, your staff will be more comfortable with you – both when they do well and when they make mistakes. When your employees do make mistakes, you should review and correct them together and try your best to not lose your patience. It doesn’t matter whether they’ve been with you for six months or 31 years, construction is all about correcting mistakes quickly. When I was at Morse Diesel, Bob Omira decided to go into the interior business and took me with him. I was his both his assistant and his right-hand guy. Bob gave me a great opportunity to further my career and taught me all about the interior business. Today, I have my own company with the interior business as our bread and butter. I am grateful to him for believing in me and for exposing me to what is now the core of MBI Group. I am very involved in charities and find it important to give back to places of my own roots. I was in The Boy’s Club of NY, so I became a trustee and built a building for them. I’ve donated $25,000 to The Boy’s Club so kids could go to camp and use that facility. What are your “5 Things I Wish Someone Told Me Before I Became CEO” and why? · I wish I knew the pros and cons of being a CEO. People view it as being an easy job, but there are a lot of challenges you have to overcome – a lot of financial hurdles, a lot of financial responsibility, and your staff doesn’t always realize. · You never get too high, and you never get too low. When you get a big project, act like you’ve been there before, let it roll off your back and keep moving forward. · You have to be patient and deal with everything one at a time. · The only way to come out on top is by having a great support team. · Never stop working hard. “Service excellence is a habit, not an accident” is my personal philosophy, which I use to drive our team to reach the highest level of quality construction and client satisfaction.